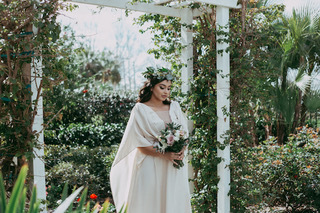 Celebration Gardens is thrilled to be featured in Orange Blossom Bride as part of a recent styled shoot by a very talented team of event professionals. 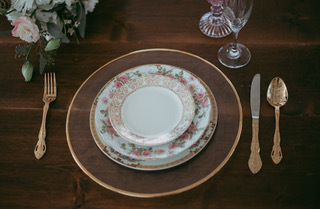 Styled shoots are a beautiful way for event professionals to share a complete design vision for a wedding or event. 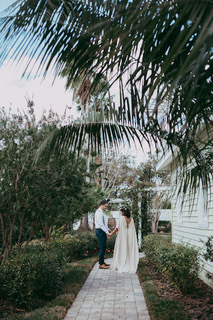 They can highlight creative ideas, new trends and showcase their talents for couples looking for venues, local vendors and beautiful details. 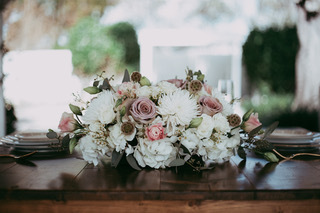 This Natural Romance theme was a perfect fit for Celebration Gardens! 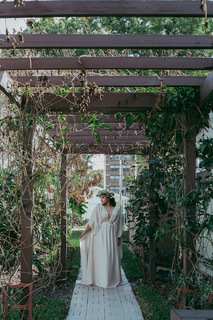 Our natural beauty, stunning outdoor structures and landscaped gardens work well with rustic design elements, beautiful garden parties or upscale elegant receptions. Whether you are planning a wedding reception, baby shower, anniversary dinner or business event, the flexibility of our spaces and natural elements will enhance your event. 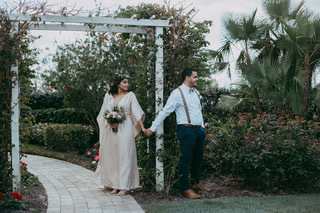 This styled shoot focused on rustic, natural beauty with the couple’s First Look under our white garden trellis, surrounded by flowering trees. 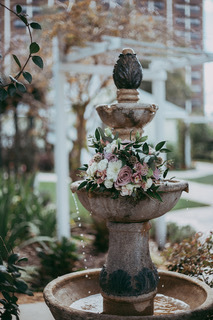 Our fountain was enhanced by adding a bouquet of rustic flowers and greenery for a pop of color. 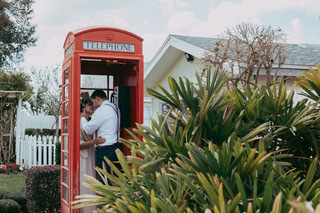 Photographs under our vine covered arbor while strolling in our gardens or in our big red telephone booth are sure to add to the memories of any event. 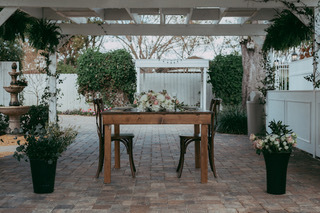 Our natural stone pavers and white dining arbor looked incredible with wood farmhouse dining tables. 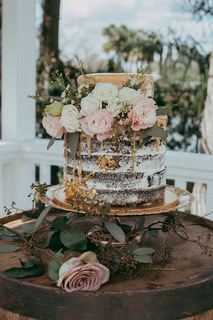 Floral patterned vintage china, rustic centerpieces in dusty rose and white flowers with textured elements and this unique naked wedding cake dripping in gold and touches of flowers completed the look.